A doughnut-shaped hot dog. He doesn't fit in very well on the playground. I'd like to see a picture of the hotdog king and his baby. two dachshunds are raiding a hotdog stand when the hotdogs suddenly animate and start a condiment war. Tessa: A long wiener dog in a bun suit. Robyn: Me eating a J-Dawg! Yum! I love that minotaur! It comes from such a great book. For the hotdog: a romantic date night with candles and a tablecloth...and hot dogs. Hot Dog maverick fighter pilots in a dog fight. Two snails romantically sharing a hot dog in front of a sunset. 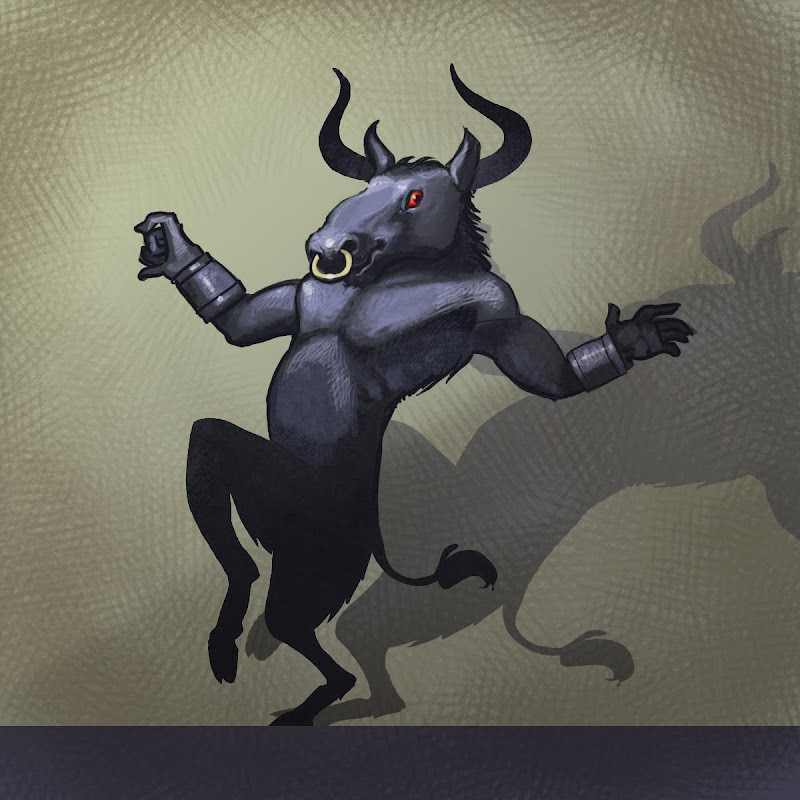 And the minotaur is awesome! can we do a corndog sweating in the hot sun, wearing a poker hat and fanning himself? Eskimos holding steaming hot dogs in their hands to keep warm. Or maybe penguins. You know how the rings that appear around the sun are called sun dogs? That's my hot-dog idea. I also like Lindsay's corndog idea and Anika's penguin idea a lot. A hot dog lands on the planet Mars and grows into a hot dog tree... what do the Martians think?